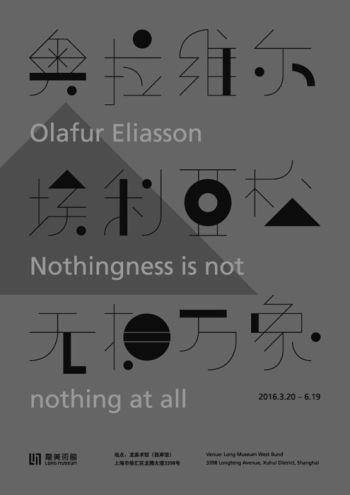 The Long Museum, Shanghai, is pleased to announce the first survey exhibition of the work of world-renowned Danish Icelandic artist Olafur Eliasson in a Chinese museum: Nothingness is not nothing at all. Opening to the public on March 20, 2016, the career-spanning exhibition brings together artworks from the artist’s vast oeuvre, which extends from the early 1990s to the present and includes installations, sculptures, paintings, drawings, and film. A number of new artworks were conceived especially for the Long Museum exhibition, including the large-scale, site-specific installation The open pyramid (2016).